Newer hair growth can be induced by providing an external stimulus to the hair follicles in the form of a hair oil massage. The oil can help strengthen the hair follicles, reduce breakage and nourish your hair strands also alongside. While using natural oils like coconut oil, olive oil, castor oil or argan oil is a good option, there are many oils available in the market which come blended with herbs and nutrients that help stimulate hair growth and keep your hair healthy. Today, we take a look at the Best Hair Growth Oils available in India. The Biotique Bio Bhringraj oil is composed of bhringraj, goat’s milk, Amla, mulethi, brahmi and coconut oil and it nourishes the scalp and strengthens the hair strands. Regular massage with the oil helps in stimulating new hair growth. It ensures that you do not get any bald patches and your hair loss is kept to the minimum. Regular use also prevents greying of hair. Use the oil to massage your hair twice a week before a shampoo for thick lustrous hair growth. It is priced at Rs. 159 for 120 ml. The Khadi Hair Growth vitalizing hair oil is paraben free and it prevents dryness of the scalp and hair loss from breakage. The Khadi Ayurvedic oil prevents split ends and conditions the root. The hair oil, when used for massage regularly, prevents hair loss and enhances the hair texture. It does not contain any mineral oil. It is priced at Rs. 330 for 210 ml. The Aloe Veda Brahmi Hair and Scalp Vitalizing Oil controls dry and flaky scalp and retains the gloss and shine in your hair. It promotes positive memory functions and prevents greying of hair. It is composed of haritaki, brahmi, aloe vera, methi, rose petals, vetiver, coconut oil, sesame oil and castor oil. It not just promotes hair growth but also brings about stress relief. It is priced at Rs. 1350 for 210 ml. One of the most popular hair oils for hair growth, Indulekha Bhringa has become a sensation among women who want to grow their hair. 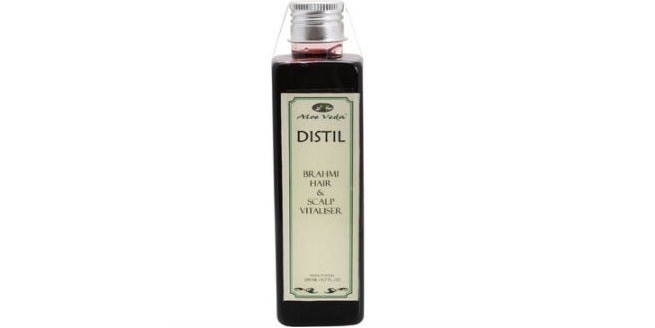 It is a complete ayurvedic solution that works on hair in two stages – prevents hair fall and promotes hair growth. Many therapeutic herbs are immersed in 100% virgin coconut oil to extract this oil that enhances hair growth and texture. It is priced at Rs. 423 for 100 ml. Here is the Review. This rejuvenating oil from Nature’s Co helps in stimulating circulation in the scalp and promotes hair growth. Regular use also normalizes scalp problems like dandruff or excessive sebum secretion. It is composed of rosemary, sage, thyme, castor oil, lavender oil, sweet almond oil, sesame oil and vitamin E. Use it on alternate days before shampoo for best results. It is priced at Rs. 495 for 100 ml. 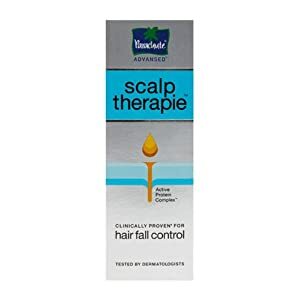 One of the most advertised hair growth oils, Parachute Scalp Therapie works on the source of hair problems – the scalp. It promotes circulation and stimulates the hair follicles to increase hair growth. 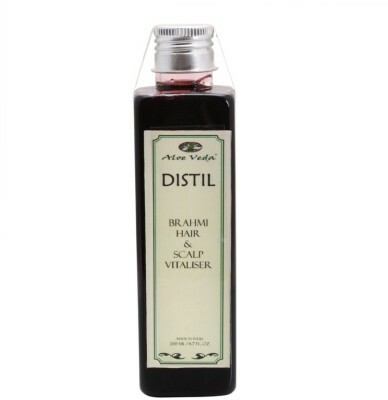 It has an active protein complex which helps in strengthening the roots of the hair and preventing hair loss. It is priced at Rs. 125 for 100 ml. One of the newest offerings from the Dove Stable, the Dove Elixir Hairfall rescue is a light blend of rose and almond oil that prevents hair breakage and infuses life into dull hair. It is organic and natural. It protects damaged hair and control hair fall. Regular use stimulates hair growth. The elixir is priced at Rs. 185 for 90 ml.